Are you looking for the Best Couples Retreat? Are you looking for the Best Couples Retreat? Are you looking for the Best Couples Retreat? We constantly ask our couples what it is that they like so much about our 2 day couples retreat. It’s hard to put into words all of the emotions that the couple experiences throughout the 2 days, ranging from angst to exhilaration! Most of our couples that end up scheduling their own private 2 day couples retreat, mention to us that at some point, they decided to take the “plunge” and book their private couples retreat because of all of the personal case studies and testimonials that they read on our website written by all the other struggling couples that have gone through our couples retreat. After reading these moving stories and situations that resonate so clearly with so many other struggling couples, it became apparent to them that the couples retreat option is what they needed to get their relationship from struggling to thriving again. 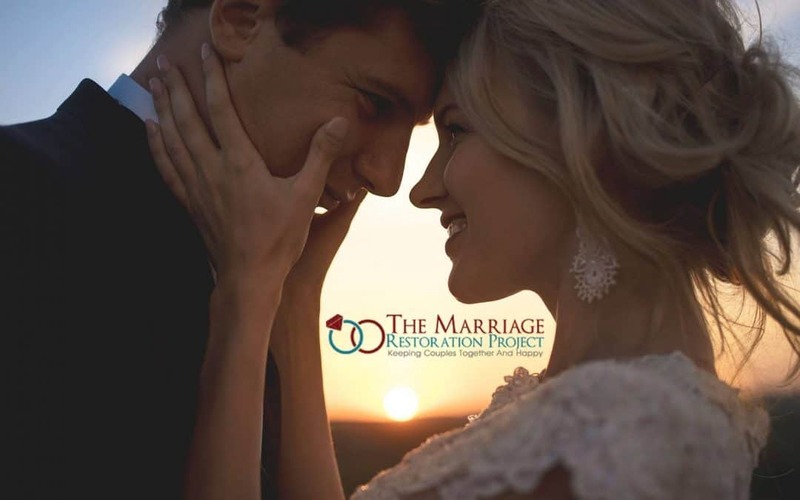 We hope that by sharing with you all of the first hand accounts of our couples retreat, that you’ll decide that our marriage therapy retreat is the best option for you, especially if you are on the brink of divorce. My husband and I just got back from our 2 day Intensive couples counseling sessions with you. I’m not even sure where to begin! We are blown away! We are married for close to two year s and in recent months our relationship kept spiraling downward as we increasingly became upset with each other due to expectations we deemed unmet as well as constant misunderstandings! We’ve been seeing another therapist who was trained in EFT for about 10 weeks but we were becoming more frustrated, despondent, and hopeless as things seemed to be getting worse versus better!!! As our last session by our previous therapist resulted in my husband angrily and frustratingly stating “I’m out of this marriage”, I realized WE MUST FIND HELP ELSEWHERE ASAP!! Luckily, after extensive research I chanced upon your site. Somehow, the messages conveyed as you readily share your own experience with Imago in your marriage and your belief in the foundation of marriage that if there are true intentions all marriages can be helped, resonated in me as true and meaningful! I am so glad I reached out! I must say my husband was very skeptical that indeed this type of therapy will be helpful and an answer to all our problems. He was especially concerned since I had SO MANY issues with him that he couldn’t fathom we’d even get trough half in 2 days. Luckily, my husband is indeed a caring, loving, and smart man and having seen my strong feelings toward this very likely helping us he surprised me by booking our 2 day intensive appointment! This has been the best gift ever! We both feel that working with you has helped us beyond our wildest dreams. We feel that the imago process and your facilitating our dialogues was conducted with amazing dignity and expertise from your end. The sessions throughout was within a calm and respectful atmosphere which enabled us to feel safe, and vulnerable and thus allowing for healing and understanding to come about naturally and constructively! Kudos to you for such amazing great work! Your empathy, caring, and passion for what you do along with your knowledge and expertise shown through! May you continue helping many others who can so benefit from your work, just as we did! I had little hope for our marriage surviving and wondered how we could possibly deal with two decades of hurt and dysfunction in a relatively short time. In fact, just like the books say, having the experience of “being heard for the first time” was profoundly and instantly transformative. I can hardly think of a marriage that wouldn’t benefit from work with him. And thinking of all of the people I know who have been divorced, I think that at least half of the marriages could have been saved by two days with Rabbi Slatkin. “My husband and I were on the verge of separating and probably divorcing. Just prior to my taking the necessary steps to make that happen, my husband asked me if I would be willing to consult with Rabbi Slatkin first. We had previously considered asking Rabbi Slatkin for help, but did not follow through, and, instead sought help elsewhere. Although, the other help we sought was useful, we found that we were at an impasse and could make no further progress. I agreed and asked Rabbi Slatkin to schedule us for his intensive program as I thought nothing less than something INTENSIVE could possibly help us at that point. Rabbi Slatkin recognized my urgency and was very responsive, scheduling us within a few days. I must admit that although I was willing, I was definitely not optimistic, nor was I entirely open to us working things out with each other. I was only open to the slight possibility that our marriage could continue. However, I was convinced that Rabbi Slatkin would be providing me a safe place where I could at the very least, say what I wanted to say without fear of my husband’s reaction. I no longer felt I had anything to lose. Knowing a very little bit about Imago, I thought I might also find out some valuable things about myself whether or not my husband and I were able to work things out. To my surprise, all three happened. I said what I wanted to say, I found out some extremely important things about myself, AND my husband and I both feel we have a good chance at marital success now that we know more information about each other and have tools to utilize to assist us in maintaining the open lines of communication in our marriage. I am feeling very hurt from painful history in our 9 years of marriage. my husbands anger and quick temper made me very doubtful that he’d be able to handle the mirroring process. but it really worked to keep him from lashing back when I shared my hurt. I was for the 1st time able to feel like he was starting to hear me. Looking for help? Looking for answers? Looking for things to work out? This two days session of work helped me to understand and realize there is a way, a way to a new you. Where i can be happy again. Talk with us about scheduling a private 2 Day Marriage Restoration Retreat for yourself and your spouse. It’s the best thing you can do for yourself and your family- healing old baggage that keeps rearing it’s ugly head, forcing it’s way into your daily interactions, making it impossible to move forward together in a conscious way.